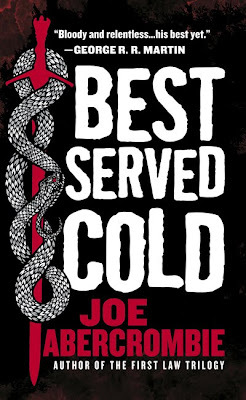 There was quite some heated debate over Orbit US diverting from the look of the First Law Trilogy so much for Best Served Cold. Now Orbit has gone back to the well for a entirely new look for the mass market edition. It is very simple but effective. The British sensibility is definitely in effect. I'm not sure if This will be the US and UK mass market look though. 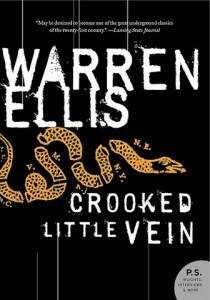 However, the design does greatly remind me of Warren Ellis's very strange Crooked Little Vein in many ways. According to JAs Facebook post today, this is for the US mass market. I like it much better than the UK Mass market they unveiled back in September. It has sort of a Northman/Beowulf feel to me. Of course I still prefer the parchment type covers most of all. Aha! I knew there was another cover that this reminded me of, I just couldn't put a finger on it. @Skelly You sir are correct. Thanks for reminding me. @Aidan When I saw the simple design with the snake it was the first thing that came to mind.